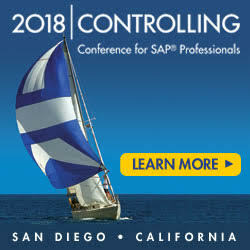 Plan ahead to join Bramasol and other SAP Professionals at SAP Controlling 2018 conference in San Diego, CA on September 17-20, 2018. Attend detailed sessions on SAP management accounting including the latest functionality such as S/4HANA. Attendees include end-users, managers, Controllers, CFO's and consultants dealing with master data, transactions, configuration, and reporting for managers. 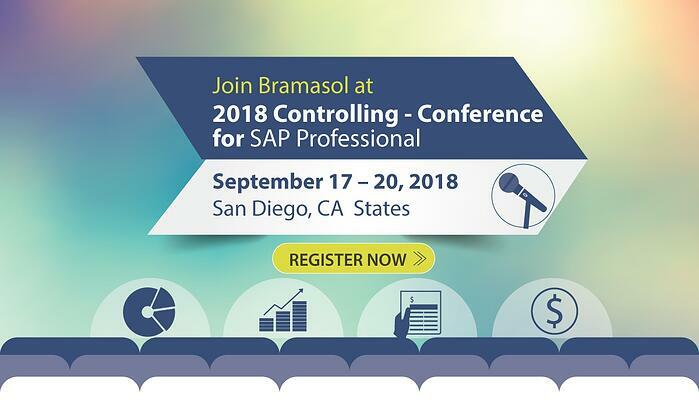 Bramasol is proud to be a participating sponsor of SAP Controlling 2018 and we're looking forward to sharing our latest financial controlling and compliance solutions along with hands-on demos of our transformational analytics and S4HANA capabilities.